Adam holds a 2.1 BSc degree in Computer Science from King’s College London University. He holds a 97th percentile score on the GMAT exam and a 99th percentile score on the verbal section. Early in his career Adam worked for Google as a software developer, was a managerial software consultant for Colnaghi (the world’s oldest art gallery), worked in a medical startup building medical devices to measure vital-signs with computer vision and with Gambit Research on statistical arbitrage and monitoring systems. But some days spending 10 hours sat at a computer, the effects on his body & mind racked up: back & neck pain, insomnia, digestive & sinus problems, inflammation, allergies, frequent colds, brain-fog, anxiety & mild depression. Adam sought help in Western medicine and was told he would forever need to manage symptoms with drugs. Not content with this, he pursued the alternatives and eventually found what worked. Healing his mind, body and spirit, he wanted to help others do the same. He trained extensively in the approaches that had helped him: authentic Yoga, Ayurveda, Meditation, Clinical Hypnotherapy, Biohacking, supplements and nutrition. He joined forces with a functional medicine doctor & a top psychiatrist and has helped 1000’s of people revitalise their lives. Adam offers neurological interventions such as neurofeedback with EEG, QEEG and CES. These can be highly effective at supporting healthy recovery from anxiety, depression, parkinsons, dementia, alzheimers and many other neurological conditions. 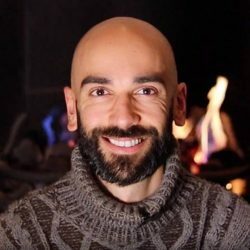 Adam works with neuropsychological techniques that support self-directed neuroplasticity to assist people in stimulating the parasympathetic nervous system, the vagal response, reducing anxiety, reforming ingrained habits and dissipating unwanted emotions. Adam has a rich understanding of neuroscience and has developed proprietary evidence based techniques to assist with treatment for trauma, addiction and mood disorders. He combines this insight with a deep experiential knowledge of the body to form a complete working model of body and mind as a integrative system that spans the latest research into the microbiome and epigenetics. Adam has over 11 years experience as a Clinical Hypnotherapist, with a post-graduate diploma from LCCH (London College of Clinical Hypnosis), widely considered the most reputable hypnotherapy college in the world. Hypnotherapy is an excellent way to communicate directly with the subconscious mind. Hypnosis can help bring about rapid change and freedom. Thought patterns, emotions and beliefs that are stuck in the deeper layers of the brain and body can be released through hypnosis. On its most basic level Hypnotherapy can be effective at supporting healthy recovery from issues such as phobias, addictions, anxiety, insomnia, self-esteem, pain and IBS. Adam works with a functional medicine practitioner to deliver optimal nutrition plans and supplements that are tailored to the individual. Using DNA testing and blood samples we can design a diet that our clients love and provide custom MP3 recordings that support adherence. Yoga is an excellent holistic approach to improving wellbeing. Adam has studied for several years in one-to-one yoga with generational yogi Sri Kamal Nayan from the Himalayas. Adam is a Yoga Alliance Certified Yoga Teacher teaching full authentic classical Hatha & Raja Yoga. Adam uses Ayurveda, the ancient Indian Vedic system of life sciences, to deliver a holistic picture of your health. Ayurveda looks at the person’s health and wellbeing as a whole system and aims to restore balance and free the body of blockages. Adam has a Level 3 Diploma in Anatomy & Physiology and a deep knowledge of the body through over 7 years personal training in martial arts and 7 years in Pilates.